Overman said this event is to both celebrate and educate. Monroe County Public Library offers bilingual storytelling and has many Spanish media selections available, and this event helps spread awareness of these resources and gets the community involved. 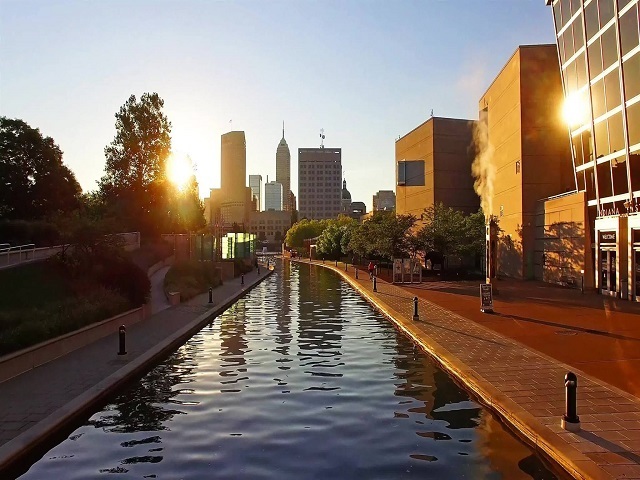 INDIANAPOLIS — The Indiana Latino Institute will continue its celebration of Hispanic Heritage Month on Thursday with an “orange-ing” of the canal. Gloria Jiminez, director of fund development and community engagement at the institute, says this will be the first time in Indiana that ILI has colored the canal orange. 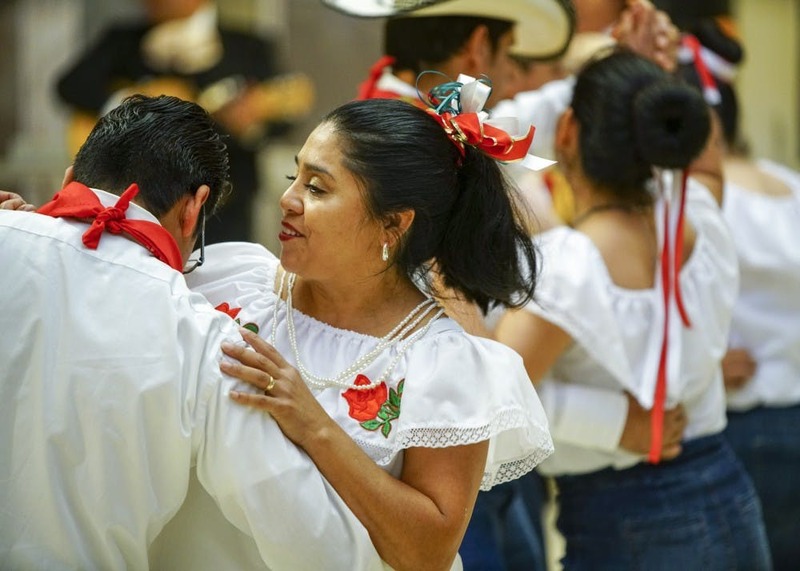 The event marked the annual celebration of “Nuestras Raices,” translating to “Our Roots,” an event set up by the Latino Graduate Student Association. About 15 group members ranging from freshmen to graduate students to staff members gathered to share stories of their families in the Latino community. 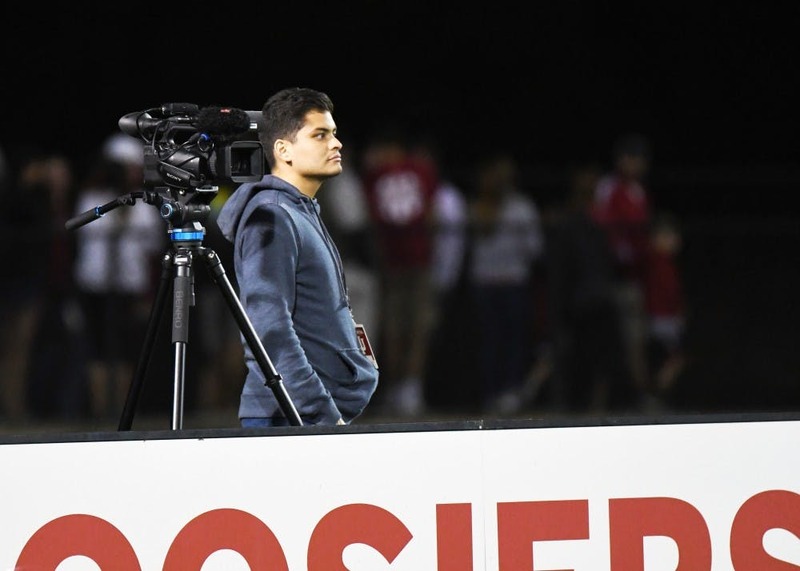 This season, IU men’s soccer will offer Spanish radio broadcasts for select games on IUHoosiers.com for the first time in program history. The first broadcast occurred Sept. 26 when No. 1 IU played No. 7 Notre Dame at Bill Armstrong Stadium. As all of you are aware, neighbors in our hemisphere have suffered tremendous loss in recent weeks. Mexico’s earthquakes hit very hard the southern states, Mexico City and Morelia. In addition, two hurricanes, Irma and María, devastated many Caribbean nations, including the U.S. Virgin Islands and Puerto Rico. As members of the Indiana University community, we are reaching out to our colleagues, students, staff, and friends in an effort to provide support to our many sister communities, where many of us who are part of IU have our roots as well as many family members and friends. Hoping to contribute to the relief efforts, we have identified organizations that are assisting communities affected by these catastrophic events. Most of these organizations have been vetted by independent agencies and have an established track record of working with local communities in need. Following is a list of organizations/agencies that are providing relief to Mexico, Puerto Rico, and the Caribbean. The websites provide information about the mission of these organizations and instructions about how to make donations online. Your contribution is greatly appreciated. These communities will survive and thrive, but need our support. 9,840 Hoosiers receive benefits from the Deferred Action for Childhood Arrivals program, according to the most recent data from U.S. Citizenship and Immigration Services. As NPR reports, President Donald Trump announced Tuesday he is ending thee program in the next six months, giving Congress a chance to codify the program’s legal protections into law. Judge Gonzalo Curiel, the California federal jurist attacked by then presidential candidate Donald Trump, will be returning to his home state of Indiana to help commemorate the Hispanic Heritage Month Celebration at the U.S. District Court for the Southern District of Indiana. The federal court will host the event at 2 p.m. Oct. 6 in the Sarah Evans Barker Courtroom at the Birch Bayh Federal Building and United States Courthouse in Indianapolis. Jointly sponsored by the Southern District and the Indiana State Bar Association Latino Affairs Committee, the program is free and open to the public. Attorneys will be eligible for continuing legal education credit but pre-registration is required. Visit http://www.inbar.org/event/2017Curiel for more information. Curiel gained national fame when Trump in 2016 questioned his abilities as a jurist and loyalties as an American. The attack came after the judge allowed lawsuits filed by former students against Trump University to proceed. On the campaign trail, Trump wrongly described Curiel as a Mexican and insinuated the judge was issuing biased rulings because Trump was taking a strong stance against immigration. IUPUI has set a new record for its largest freshman class and says this year’s group is also the most diverse in its history. The university says more than 4,100 beginning freshman have enrolled for the 2017-2018 academic year, beating the previous record, set in 2014. This year’s class also represents a 2.8 percent increase over last year. The university says minority students represent 28.3 percent of the freshman class with Hispanic/Latino students making up the largest minority group at 9.8 percent. The Senate Republican campaign arm surprised Democratic Sen. Joe Donnelly (Ind.) with a mariachi band at one of his recent campaign stops. Republicans have taken to calling Donnelly “Mexico Joe” over a report last month that his family’s arts and crafts company, Stewart Superior Corp., manufactures some of its products in Mexico. Donnelly announced shortly after the report that he was selling his stock in the company. Even as Republicans from President Trump to leading legislators in the House and Senate are driving to reduce both undocumented and legal immigration, the core of the GOP’s electoral strength in both presidential and Congressional contests are the places with the smallest share of immigrants, US Census data show. The Gary NAACP wants a federal judge to block a new law that would consolidate Lake County’s voting precincts. The organization claims the law, formerly known as SB 220, would discriminate against the black and Latino populations in Lake County by making voting access more inconvenient. Defendants are Indiana Secretary of State Connie Lawson and individual members of the Indiana Election Division. Gov. Eric Holcomb’s office declined to comment on the lawsuit. 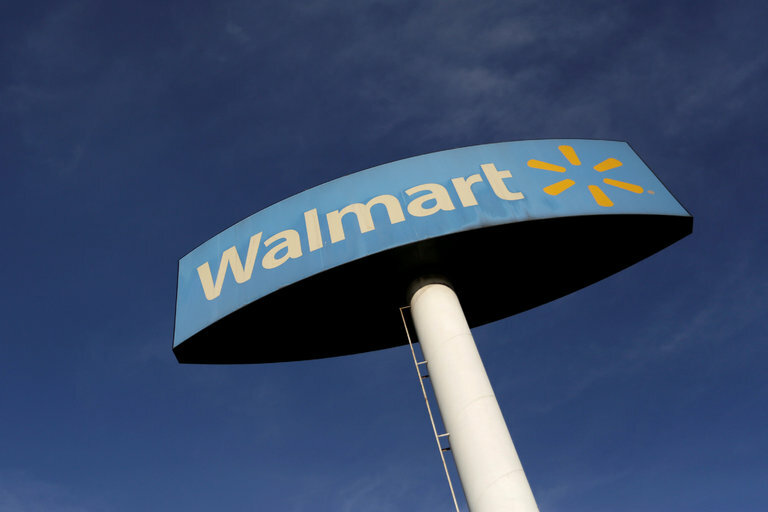 Walmart’s C.E.O. Had Plenty to Say About Trump. So Did His Customers (in Bloomington, IN). Why are people still racist? The Marion County Sheriff’s Office plans to drastically reduce its compliance with federal immigration detainer requests. On Monday, attorneys for the American Civil Liberties Union of Indiana and the city of Indianapolis filed a stipulated judgment (or settlement) and injunction to end the practice of holding people in jail without probable cause on behalf of U.S. Immigration and Customs Enforcement. The agreement is expected to be signed by U.S. District Court Judge Sarah Evans Barker. A national nonprofit organization says at least 18 lynchings took place in Indiana between 1880 and 1940, as part of more than 300 lynchings in eight states outside the deep south during that time. The Equal Justice Initiative released a new report Tuesday outlining the history of racial terror lynchings in the United States. 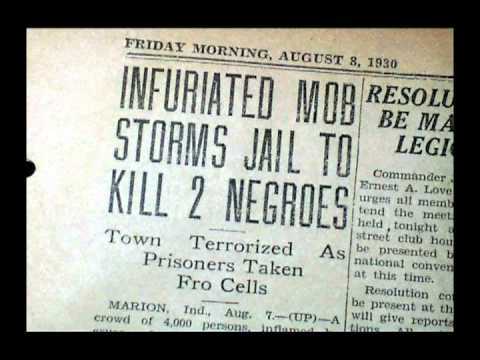 “Racial terror lynchings were horrific acts of targeted violence against African Americans…by white mobs who murdered black people with no risk of accountability or punishment,” the report says. Despite anti-immigration rhetoric surrounding political campaigns, Indiana’s Hispanic population continues to grow, though not as fast as in past years. 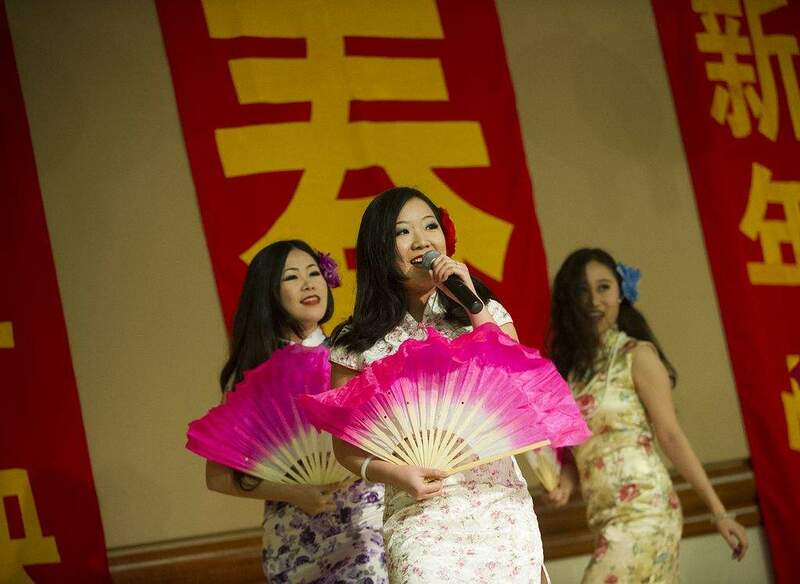 And while its numbers are still relatively small, the Asian population continues to be the fastest-growing ethnic group in the state and nation, according to recently released census population estimates. Segregation between white students and students of color in Indiana remains high, according to a new analysis from Indiana University. This is true even as Indiana sees a growing share of non-white students. IU’s Center for Evaluation and Education Policy conducted the study along with the Civil Rights Project at UCLA. Bicultural students will hone research skills and study civic resilience of North-Central Indiana’s Latino communities this summer by analyzing data collected from surveys they create and distribute. The students will travel to Fort Wayne, Frankfurt and other regions in Indiana beyond Tippecanoe County as part of a joint university operation between Ivy Tech Lafayette and Purdue University in a class titled “Latino Immigrants in the Crossroad of America.” The course will be led by Jay McCann, a Purdue professor of political science, and Randy Triplett, an Ivy Tech professor of political science. Seven people spoke about their fears in the current political climate and the future and discussed ways to be involved in community and create change even in the face of discrimination Thursday evening. Members of the Community and Leadership Development Center led activities and discussions of community engagement during their program “Together We Rise” at La Casa Latino Cultural Center. “It’s important to remind students that they have the power to engage and participate in democracy,” CLDC graduate assistant Alyssa Beauchamp said. This program has occurred two times before, once with staff at the CLDC and once at the Indiana Latino Leadership Conference. Director of La Casa Lillian Casillas asked the CLDC if they could bring the program to La Casa.